Custom Look. Durable Features. Affordable Prices. 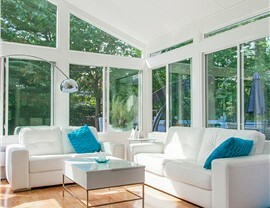 We're the most trusted choice for sunroom additions that are built for your unique needs. If you love the idea of a sunroom addition, but worry about how it will fit in visually with your home's exterior, consider one of our beautiful Bluffton studio sunrooms. 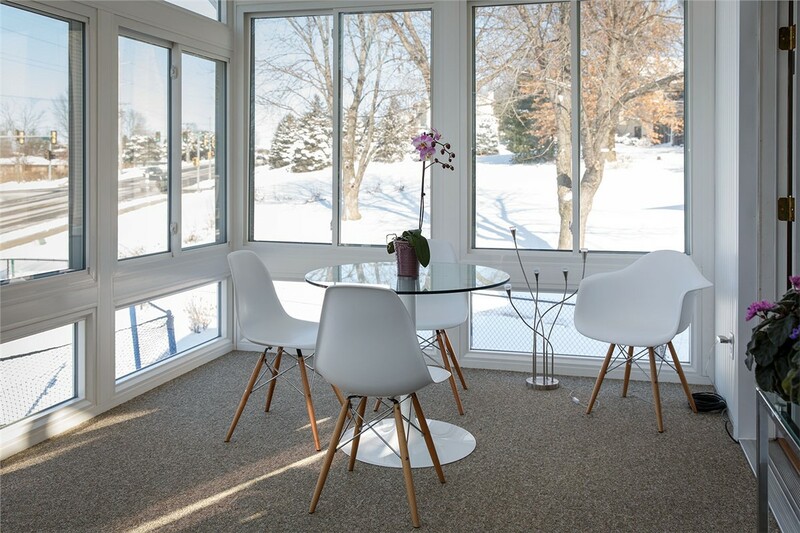 The studio sunroom style is one of our most popular choices because of its ability to blend seamlessly into the exterior style of many homes. Palmetto Porches has helped thousands of area homeowners add value and usable square footage to their homes with gorgeous studio sunrooms. 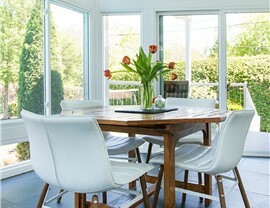 Since 2004, our superior workmanship and affordable pricing has made our locally owned business one of the area's most trusted choices for all types of sunroom additions! 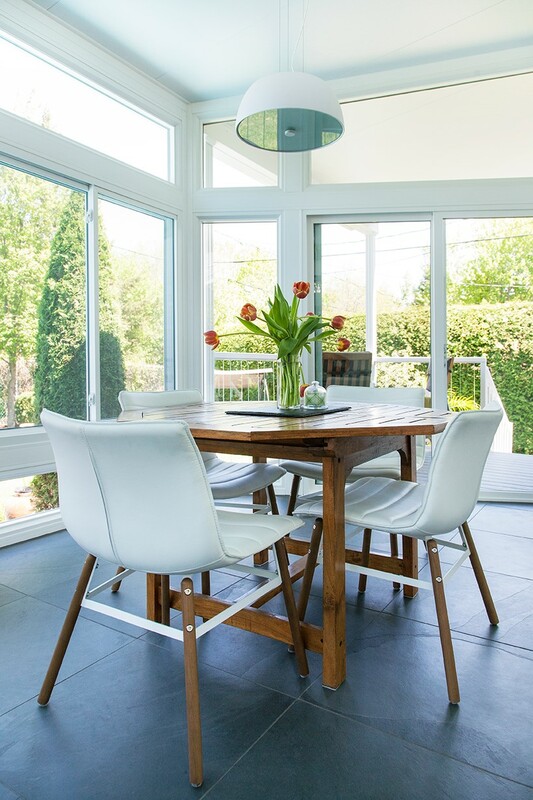 Innovative Materials: Many sunroom providers use aluminum, but not us! 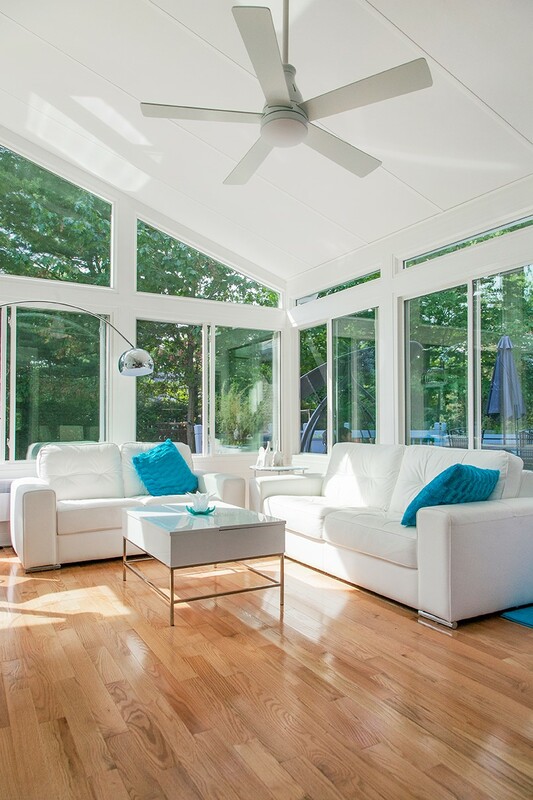 We use only triple-ply fiberglass-reinforced polyurethane—the industry's strongest material—so your sunroom will be able to stand strong against all manner of severe weather. 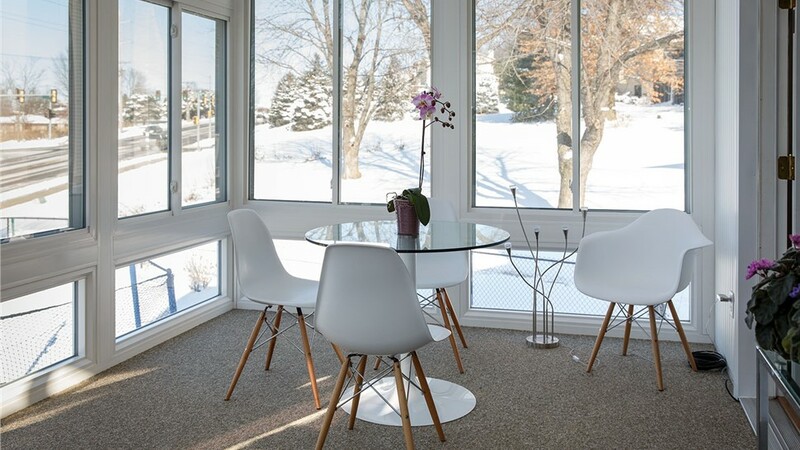 Energy-Efficient Features: You could save a few dollars by installing a sunroom with lesser-quality windows, but you'd only end up spending more over time. Our affordable Bluffton sunrooms are installed with low-e glass windows that allow light to enter but direct heat back to its source. That means your sunroom stays cooler in the summer and warmer in the winter, saving you money on your utility bills all year long! Custom Design: Every home is different, and every homeowner has different needs and expectations. That's why we don't use pre-fabricated sunrooms. Instead, your sunroom will be custom designed and manufactured for a gorgeous final product that will look as though it's always been part of your home! 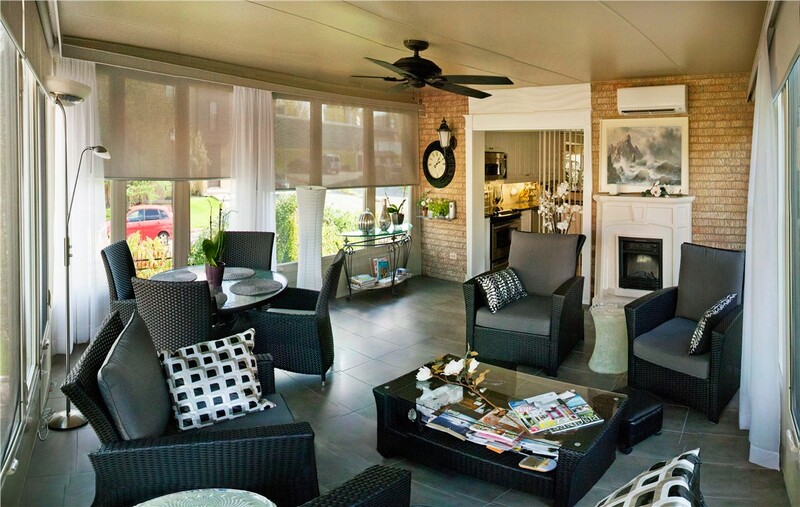 Enjoy your outdoor space all year long with one of our stunning studio sunroom additions! 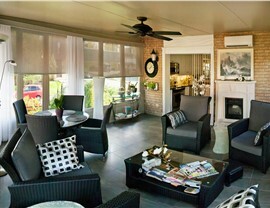 Contact us today to learn about this and our other Bluffton sunrooms. Give Palmetto Porches a call to speak with a member of our team, or fill out our online contact form to schedule your free, no-obligation design consultation.